Boys will love going to bed in this warm sleeper by Bees & Jam. The fleece fabric is soft and warm. The print is on a blue background. This sleeper does not have feet. There are cuffs at the ankles. 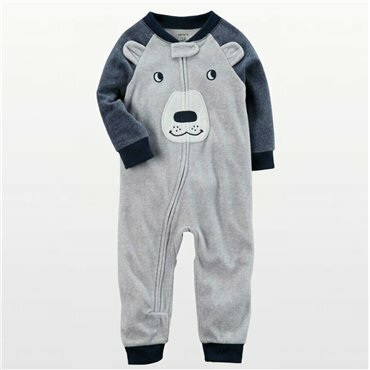 Carters Boys Footless Blue & Grey Onesie Pyjamas with Bear Face Motif in super soft microfleece with front zip. 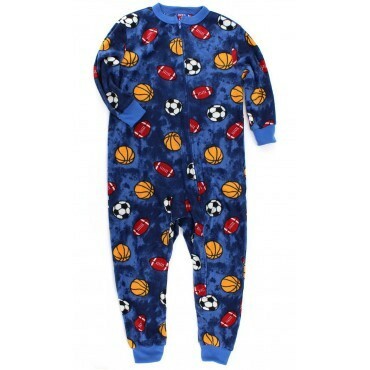 Carters Boys Onesie Pyjamas - Super Soft Microfleece boys sleepwear with allover blue camoflague print and a bulldog motif, front zip, built in feet and elastic ankle back for perfect fit. 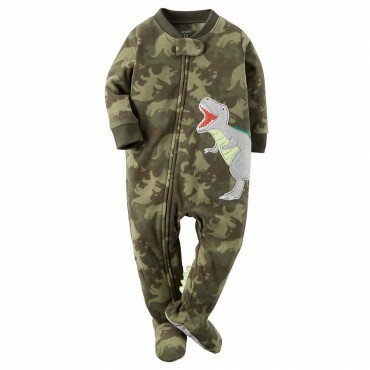 Carters Boys Onesie Pyjamas - Super Soft Microfleece boys sleepwear with allover camoflague print and a dinosaur motif, front zip, built in feet and elastic ankle back for perfect fit. 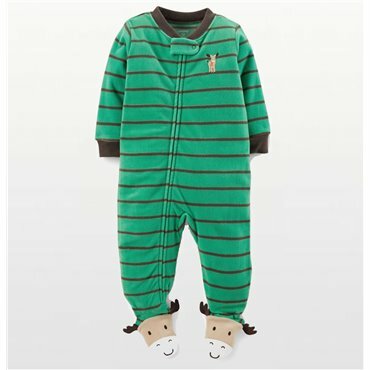 Carters Boys Green Stripped Onesie Pyjamas with Moose Motif in super soft microfleece with front zip, moose design on built in feet with elastic ankle back for perfect fit. Carters Boys Green Stripped Onesie Pyjamas with Truck Motif in super soft microfleece with front zip, moose design on built in feet with elastic ankle back for perfect fit. 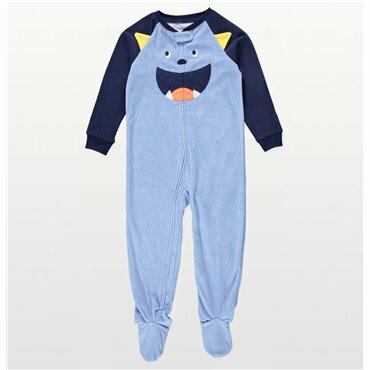 Carters Aqua Boys Onesie Pyjamas super soft microfleece kids onesie with allover Snow Monster Pattern, front zip, built in feet with elastic ankle back for perfect fit. Carters Boys Aqua Onesie Pyjamas in super soft microfleece with allover western pattern with front zip, built in feet with elastic ankle back for perfect fit.